Leading Manufacturer of copper alloy sheet, copper alloy plates and copper alloy coils from Mumbai. 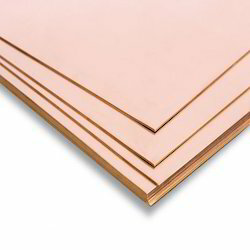 We have marked a distinct position in the market by providing flawless quality Copper Alloy Sheet. The offered sheet is precisely designed under the direction of our expert quality controllers utilizing quality assured raw material in compliance with the international standards. In addition to this, this sheet is rigorously tested on various quality parameters to ensure high durability at the users end. 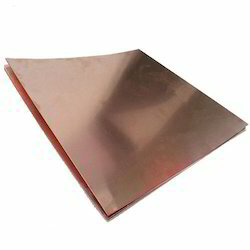 Clients can avail from us an excellent quality assortment of Copper Alloy Plates. The offered plate is manufactured by our competent experts using quality approved steel and with the aid of sophisticated technology keeping in minds the international standards. Extensively appreciated for its features like durability and compact design, this plate is highly demanded in the domestic market and is available at reasonable prices. 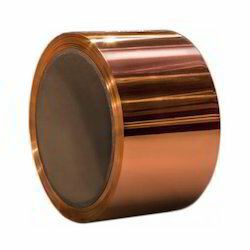 We hold immense expertise in manufacturing, exporting and supplying a broad assortment of Copper Alloy Coils. Manufactured utilizing quality approved raw material and with the aid of advanced techniques, our offered range perfectly complies with the set international standards. Further, it is designed by our competent experts keeping in mind the various needs specified by our clients in order to achieve their maximum satisfaction. 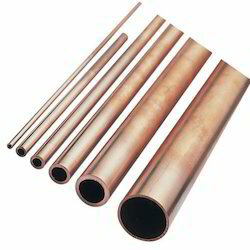 With the industrial experience in this domain, we are engaged in offering Copper Alloy Tubes for Chemical Industry to our worldwide customers. These products are manufactured using high quality raw material and by our skilled professionals. Our clients can avail our products at affordable prices.